We are honoured to hold an special additional Sunday Service on 30 September at 11.00am. It will be lead by our sabbatical Minister, Revd. Meret Engel. Our special vistor Pfr. 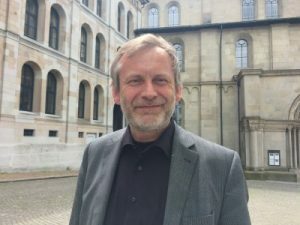 Christoph Sigrist, Minister at the Grossmünster, Zurich, Reformation Year ambassador 2017, and Zwingli expert, will preach the sermon in German. The liturgy will be in English, French and German.